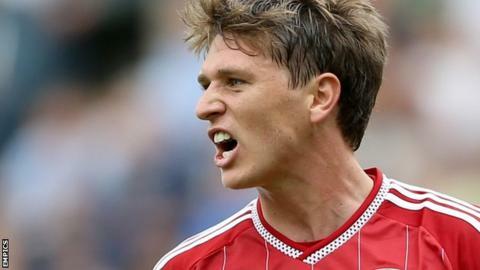 Middlesbrough could send winger Adam Reach out on loan so he can play some first-team football, says head coach Aitor Karanka. The 22-year-old scored three goals in 46 league and cup games for Boro last term, becoming a regular in Karanka's squad. However, he has been limited to just four starts this season, partly because of the arrival of Carlos de Pena. "He knows my thoughts about him, I like him a lot," Karanka told BBC Tees. "Last season he played a lot of games, but Albert Adomah handed in a transfer request before the window closed and we had to bring in Carlos de Pena just in case. "It's good for me because I now have both players but also bad for Adam because he has lost his place. But he has a bright future."